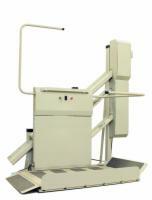 Incline Platform Lifts make it possible for wheelchair or scooter users to use the stairs without having to transfer to a stair lift or install a vertical platform lift. All you have to do is drive your scooter or wheelchair onto the platform, push a button, and move up and down the stairs with ease. 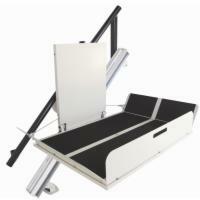 The platform lift mounts directly to your stairs, providing safe and secure assembly and a powerful drive train that will stand up to years of repetitive use.